When Naim released the Mu-So product line, they had the audiophiles pretty much convinced that multi-room audio could be done the autonomous-speaker-way hitherto personified by Sonos, without the transistor-radio-sonority personified by not only Sonos but their competitors as well, was actually feasible. Now they have brought some of the design decisions from Mu-So over to the Uniti line of products and, by the looks of it, become a serious contestant of the Linn throne. Even the Mu-So button has spawned. The new Uniti comes in four flavors. The Atom, Star and Nova on the front end of things and the Core at the back. The Atom, Star and Nova are streamers with rudimentary external storage options with a capacity of 20,000 tracks and a 40W, 70W and 80W amplifier respectively. The Star and the Core have built-in CD transport and accompanying ripping facilities. The Core has an internal storage of up to 8TB and room for 100,000 tracks. Whether more Uniti Core units can be addressed simultaneously remains unknown at this point. After all, 100,000 tracks is only 5-6000 CDs. The new Uniti devices are compatible with the the existing Uniti range. 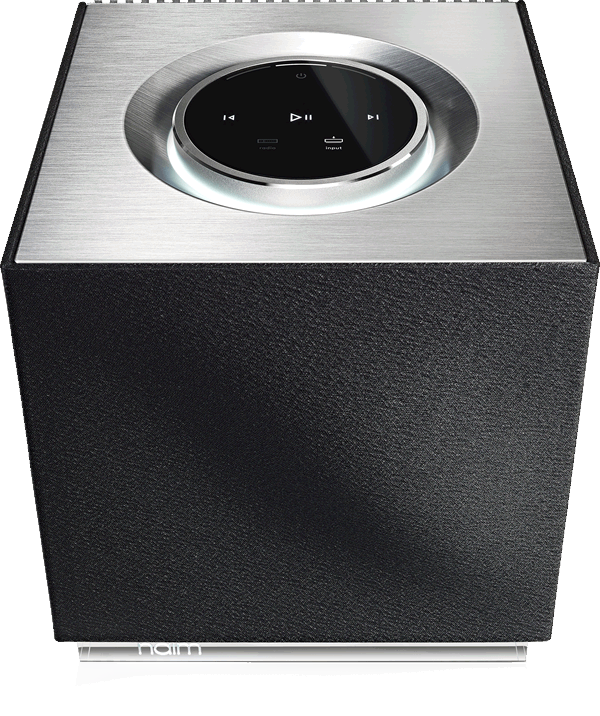 Naim managed to shrink the Naim Mu-So into a cube of 20cm3 and called it… wait for it… Qb. No ill feat on the shrinking side. Slightly off their rocker on the naming ditto. Specs are roughly the same as usual albeit given the smaller form factor having smaller speakers and with less to drive, a smaller set of amps. The high and mid drivers are positioned in an X-Y configuration for compactness and the subs appear to be push-pull. The mother Mu-So is stunning to behold already. With these little babies dispersed around the house, you are likely to win an award in your local interior decoration magazine and sound good winning it. Multi room sound took another leap today. 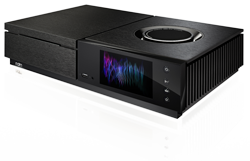 Naim have put a Naim Mu-So up for draws among customers who purchase a Hi-resolution digital album from their music shop. 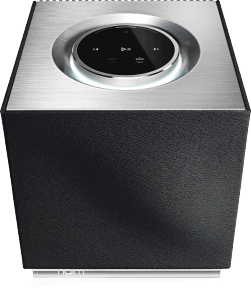 The Mu-So is Naim’s take on a wireless, monolithic speaker to compete with products such as B&W Zeppelin. 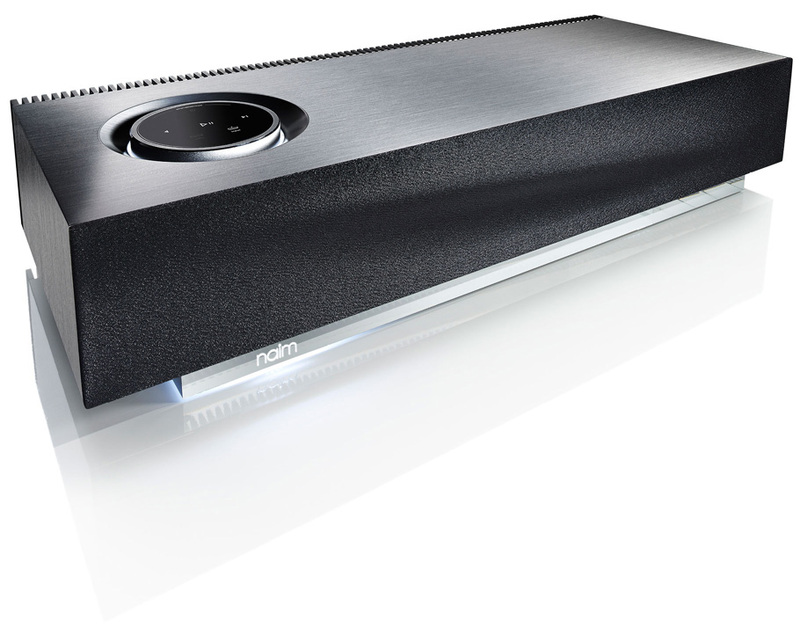 Inline with Naim’s usual graphic style, the Mu-So has a visual punch unlike most other products in its genre. It streams everything up to 24-bit/192kHz Flac on a wired connection and plays it back at 75W per channel. Unusual among its peers it supports multi-room streaming with more Mu-Sos connected and is controlled by either an iOS or Android device or via the [equally] unusually rudimentary remote that comes with the package. It has been a long time since my last update but following a hiatus often comes a time of exhilarated mania manifesting itself in this oddly named blogging kickstart. We have used a combination of iTunes, Squeezebox and Foobar2000 for quite a few years now. Moving to a new house in 2012 caused a slight shift towards true multiroom and the Squeezeboxes became the centre of our musical universe. This, however, also accentuated a couple of shortcomings with Squeezebox and thus instigated a possible change of system. Given its outrageous price tag, Linn is out of the equation for us. The next system in line was the Naim Uniti which is more within reach albeit still too expensive in a multiroom setting. The choice ended up being between keeping the Squeezebox, solving the problems we have, moving to Sonos or jumping to the relatively new Simple Audio lead by former Linn MD Peter Murphy. So far I have tested a 5 room Sonos setup against Squeezebox. The plan is to have a go at Simple Audio next and then post a detailed account of my experience with all three and where they excel and, conversely, fall short. So stick around for brand new spark of life following this virtual defibrillator.